The Rousseau Double Boom Arm Floor Lamp is an iconic convergence of modern design and minimalist form. 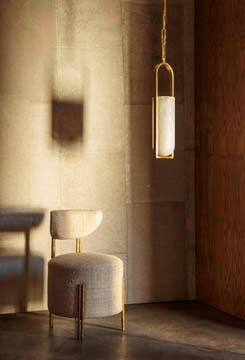 This large floor lamp is available in Antique Brass, Bronze or Polished Nickel with Etched Crystal lenses. The Cachet Floor Lamp is a true amalgamation of sculpture and function. This floor lamp features a cast metal base with an Aged Iron finish, Antique Brass detailing and a Linen shade.